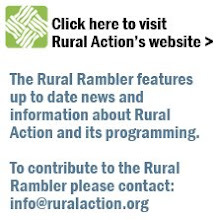 The Rural Rambler: Monthly Sierra Club Meeting Tonight - Featuring a Free Tour of the Greenest Building in Athens! 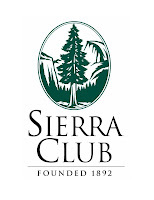 Monthly Sierra Club Meeting Tonight - Featuring a Free Tour of the Greenest Building in Athens! Join your local Sierra Club and members of the Rural Action Energy Committee as they examine the future of environmental architecture right in your backyard! The Sierra Club, Athens Chapter, brings us for a tour and discussion of the Athens Real Estate Company, the first building in Athens to seek LEED certification (Leadership in Energy and Environmental Design*). Builder Tom Lovdal, LEED Architectural Designer Teny Bannick, and owner/realtor Russell Chamberlain will show us why this building embodies green building principles. Everyone should meet at the Athens Real Estate Office, 540 W. Union St. in Athens at 7pm to begin the tour. This is an absolutely free tour and open to anyone who would like to come! * A little more about LEED: The Leadership in Energy and Environmental Design (LEED) Green Building Rating System™ encourages and accelerates global adoption of sustainable green building and development practices through the creation and implementation of universally understood and accepted tools and performance criteria. Brought to you by the Appalachian Ohio Sierra Club, working for a sustainable region with local communities. This is a very good article material and it is very useful for us all. thank you .